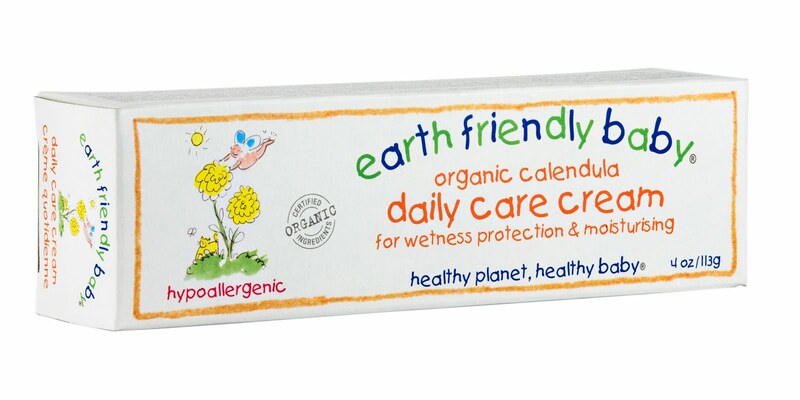 Earth Friendly Baby is a brand of organic, eco-friendly, natural toiletries and baby essentials. You can see some of their products in the big supermarkets and at Boots but you can also buy online at many of the eco-baby websites such as So Organic Ltd.
All of their products (from baby wipes to body lotions) are simple, yet fun. The packaging is bright, without being garish and their scents are tangy and strong without being artificial. We recently tried the Earth Friendly Baby Organic Chamomile Bubblebath (£5.99). It is very runny for a bubble bath because it it made from natural ingredients. This means that it is quite hard to be sparing with it but you soon learn that a little goes a long way. We live in an area of very hard water and normally, natural bath products struggle to produce a lather (because of their lack of chemical nasties). 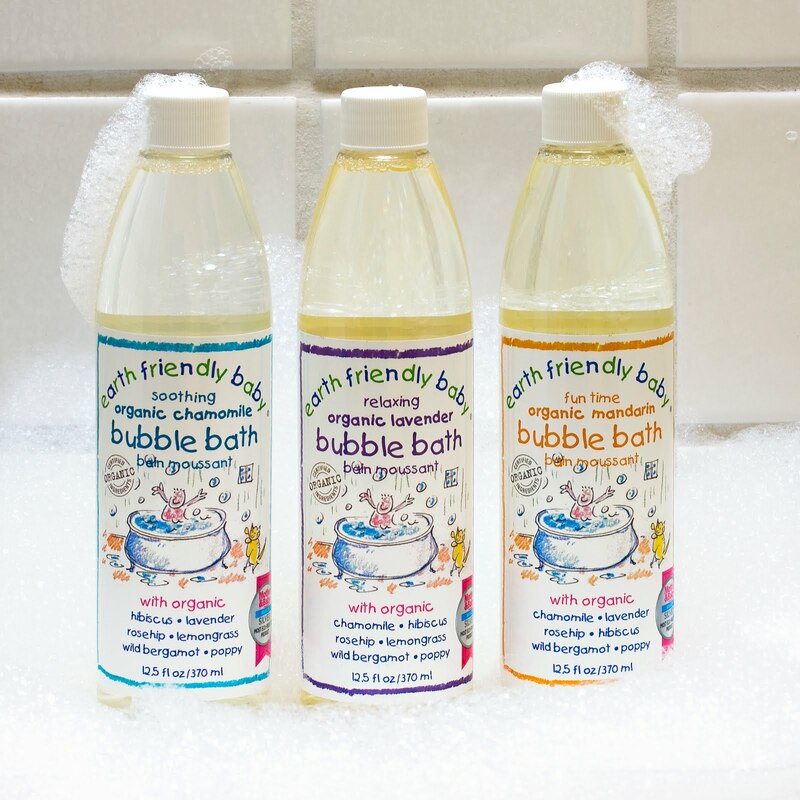 Surprisingly, we found that the Earth Friendly Baby Bubblebath produced the most impressive bubbles of any baby bath we have used to date; and, as a bonus, it left a fresh scent in the bathroom after use. 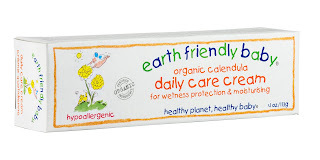 We also tried the Organic Calendula Daily Care Cream (£5.49). Until now, we have been using the Weleda Calendula Lotion (£7.50) on Lara's body; it is runny and, after months of using it, I've found, quite frankly, that it is ineffective at anything other than making Lara (a)smell scrumptious and (b)a bit slippery. In contrast, the Earth Friendly Baby Daily Care Cream is thick (thickened with vegetable oil and beeswax) and easy to apply. Designed as a nappy barrier cream, it also makes a great moisturiser for sensitive skin such as Lara's because it makes a protective barrier over the skin. It is the first body cream I have used on Lara which seems to prevent, rather than just relieve her dry skin. 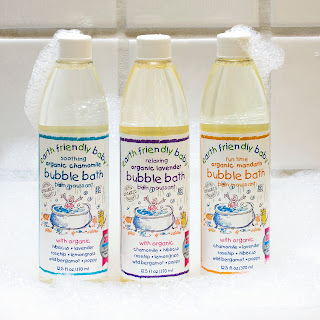 We have also won one of the Shampoo & Bodywash products from the Earth Friendly Kids range from Mummy's Busy World. The 'zingy citrus' range is so zingy and citrussy that myself and Mr. B. stole it off Lara! Great fun for all the family.